Governor Thompson was appointed to our Board in connection with our initial public offering (“IPO”) in July 2013 and is the non-executive chairman of our Board. He is a member of the Compensation Committee, Nominating and Corporate Governance Committee, and the Finance and Investment Committee. Governor Thompson is the former United States Health and Human Services (HHS) Secretary, serving from 2001 to 2005, and a four-term Governor of Wisconsin. Following his term in public office, Governor Thompson built and continues to build, on his efforts as HHS Secretary and Governor to develop innovative solutions to the healthcare challenges facing American families, businesses, communities, states and the nation as a whole. These efforts focus on improving the use of information technology in hospitals, clinics, and doctors’ offices; promoting healthier lifestyles; strengthening and modernizing Medicare and Medicaid; and expanding the use of medical diplomacy around the world. From 2005 until 2009, Governor Thompson served as a senior advisor at the consulting firm Deloitte & Touche USA LLP and was the founding independent chairman of the Deloitte Center for Health Solutions, which researches and develops solutions to some of our nation’s most pressing healthcare and public health-related challenges. 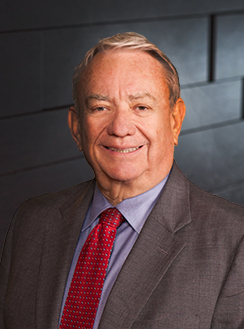 From 2005 to early 2012, Governor Thompson served as a senior partner at the law firm of Akin Gump Strauss Hauer & Feld LLP. Governor Thompson served as Chairman of the Board of Trustees of Logistics Health, Inc. from January 2011 to May 2011, and served as President from February 2005 to January 2011. Governor Thompson currently serves on the Board of Directors of Tyme Technologies, Inc. (since 2018), Centene Corporation (since 2005), United Therapeutics Corporation (since 2010), and TherapeuticsMD, Inc. (since 2012). Governor Thompson was formerly a director of C.R. Bard, Inc., Cytori Therapeutics, Inc., Cancer Genetics, Inc., CareView Communications, Inc., AGA Medical Corporation, CNS Response, Inc., PURE Bioscience, Inc., SpectraScience, Inc., and VeriChip Corporation. Governor Thompson received his B.S. and J.D. from the University of Wisconsin-Madison. We have determined that Governor Thompson should serve on our Board because of his public company board experience, extensive knowledge of the evolving healthcare industry, and unique experience with physicians, healthcare decision makers, and business executives nationwide regarding healthcare policy and improvements within the industry.